It’s no surprise that trains excite and intrigue us. The development of the railroad in the United States greatly affected many aspects of the country, and this influence can be seen in the museums around the country that celebrate, preserve, and memorialize the railroad. 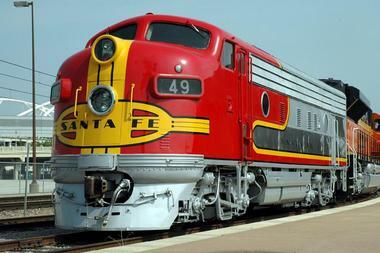 This list includes some of the best railway museums in the United States. You will find museums with exciting interactive exhibits, rail yards with tons of rolling stock, heritage railroads, and even carefully designed miniature railroads. 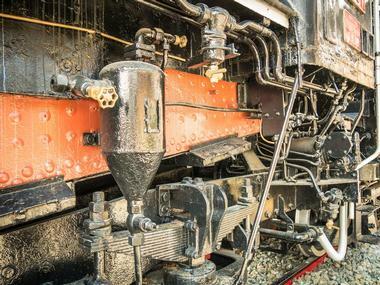 Explore our picks of the best train museums in the country and join the generations of people who have been mesmerized by trains and their role in society. The California State Railroad Museum is a state-managed museum that tells the story of the railroad’s role in connecting California to the rest of the country. The museum houses more than 20 restored locomotive engines and railroad cars, some of which date all the way back to 1862. There is a miniature railroad scene called the “Sierra Scene,” which shows a construction scene in the Sierra Nevada range including the Donner Pass and a locomotive named Gov. Stanford. There are other exhibits related to the impact that the railroad had on American life, including travel, business, and daily life. Next to the main building is a reconstructed passenger station from the Central Pacific Railroad in the 1870s. Visitors can also take part in a 6-mile train ride, available part of the year. » Colorado Railway Museum Inc. The Colorado Railroad Museum is a non-profit museum located in between the North and South Table Mountains in beautiful Golden, Colorado. The museum has operated since 1959 and was created to preserve and protect the history of Colorado’s railroad era. The museum has a special concentration on the development of steep, narrow gauge railroads in the Colorado mountains. The main museum building is modeled after 1880s railroad depots. There are original photographs by railroad photographers, model railways, displays on railroad history, and a roundhouse where visitors can observe restoration work. A number of locomotives, rail cars, and pieces of railroad equipment are on display outside the museum. The Danbury Railway Museum is a railroad museum and adjacent rail yard located in the former Union Station in downtown Danbury, Connecticut. The museum was created in the 1990s after the station was closed. The exhibits held in the Danbury Railway Museum mostly focus on the history of the railroad in the region, including New York and the southern part of New England. The building features interesting architecture and appeared in Alfred Hitchcock’s Strangers on a Train. 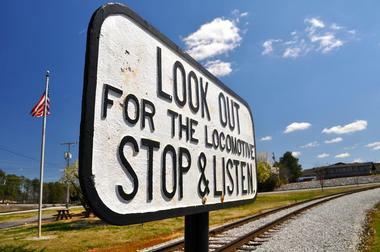 Visitors can embark on a train ride called the Rail Yard Local, which lasts about 30 minutes and passes the museum’s turntable, the only one like it in the state. The train ride is only available during the summer months. 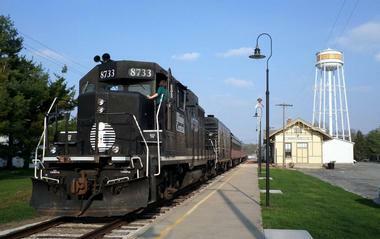 The Galesburg Railroad Museum is located in Galesburg, Illinois. The museum gathers, preserves, and displays artifacts, documents, letters, and equipment related to the history of the railroad. Many of the items in the museum are related to the Burlington Northern Railroad Company, which was the largest in the country in the 1970s and was formed by merging several other railroad companies that played quite a significant role in the area around Galesburg. Some of the most interesting engines and rail cars held by the museum include a mail car from the railway post office and a Pullman “Meath” rail car. The Hoosier Valley Railroad Museum is a railroad museum in North Judson, Indiana. North Judson was a significant railroading town and, at one point, a large percentage of the local population was employed by the area’s railroads. The town was known to have up to 125 trains in a single day coming from one of four major rail lines in the area. The museum is located in a building that was formerly owned by the Erie Railroad. The museum has a variety of rolling stock, including a historical steam locomotive from the Chesapeake and Ohio Railway. 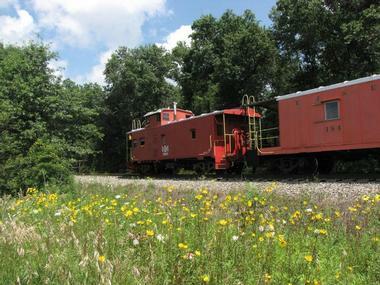 During the warmer months, the museum also offers train rides. 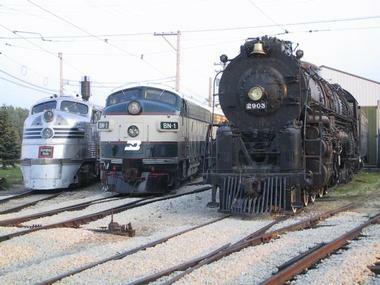 The Illinois Railway Museum is located in Union, Illinois, near Chicago and is the country’s largest railroad museum. The museum has been in operation since the 1950s and tells the story of the role trains and the railroad have played in the growth of the city of Chicago and surrounding area as well as the entire United States. The museum campus is quite large and it can take a while to explore it all. There are eleven storage barns that contain approximately 3 miles of covered tracks, a steam engine restoration shop, a train depot dating back to 1853, four streetcar stations, a collection of neon and concrete signs, a large number of trains, and more. Two train rides are offered in the summer, including on both electric and diesel trains. The Kentucky Railway Museum in New Haven, Kentucky, is a non-profit railway museum dedicated to the history and heritage of the state’s railroads and the people who played a part in the railroad’s history in Kentucky. The museum was opened in 1954 and originally resided in Louisville, but has since moved to southern Kentucky’s Nelson County. It occupies one of the country’s oldest rail stations, which was built in the 1850s by the Louisville and Nashville Railroad. The museum has a number of steam locomotives, rail cars, and indoor exhibits, which include a 3,000-square-foot model train display. The Laws Railroad Museum and Historic Site preserves, protects, and interprets the former site of the Laws Railroad station and rail yard. The museum includes several historical buildings, which each house artifacts and interesting items related not just to the history of the railroad, but also to history in general. These buildings have been moved to the site and set up around the historical train depot like a small village. 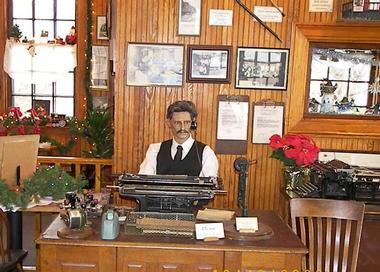 The depot itself contains railroad-related artifacts and memorabilia as well as train displays. In the yard stands Southern Pacific Company’s Steam Locomotive no. 9, which was donated to the museum when it was decommissioned in 1960. There are also an 1883 turntable and several historic rail cars on display. The Medina Railroad Museum is located in Medina, New York, near the cities of Buffalo and Rochester. The museum is located inside of one of the largest historic wooden freight depots still in existence. The building was constructed in 1905. The exhibits housed here include a number of interactive and experiential displays, artifacts from the railroad, train-related memorabilia, historical photographs, trains, a model railroad display, and more. 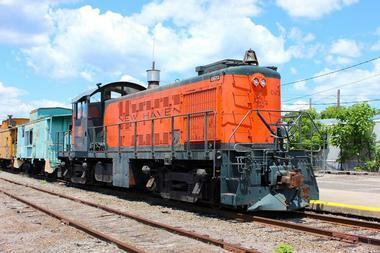 The museum has a special emphasis on the railroads of western New York. There is also an exhibit of historic equipment used in fighting fires. There are seasonal train rides as well as an annual Thomas the Tank Engine event for kids. The Mid-Continent Railway Museum is a museum in North Freedom, Wisconsin, dedicated to the history and heritage of the railroad. The museum has a number of permanent displays and also hosts train rides aboard preserved historical trains. The exhibits primarily focus on the history of the railroad from the upper Midwest around the turn of the 20th century. There are three steam locomotives that are being restored as well as a number of other steam and diesel locomotives and more than 100 other pieces of rolling stock on display. The museum also has a large collection of wooden passenger cars, which is the largest of its type in the country. The train depot is original and was built in 1894 and later moved to the museum’s current location. The Monticello Railway Museum is a non-profit railway museum in Monticello, Illinois, which is near the city of Champaign. The museum contains more than 100 pieces of historic railroad equipment, including a number of restored diesel locomotives and a variety of rail cars. There is a tourist railroad operating out of the museum that offers trips on a decommissioned railroad line formerly operated by Illinois Terminal and Illinois Central Gulf. Each year, in September, the Railroad Days festival is held at the museum and includes a special immersive ride aboard a regular passenger train made up of Illinois Central coaches and other historical rail cars. The Museum of the American Railroad, previously known as the Age of Steam Railroad Museum, is a large railroad museum in Frisco, Texas. The museum is popular among train enthusiasts because it lets you get quite close to the equipment and walk through many pieces. The museum originally resided in Dallas’ Fair Park. At the time of writing, the Frisco museum is still under construction and only scheduled tour groups are permitted inside the collection. There are some interim exhibits and a museum store open at the Frisco Heritage Museum for those who are interested in getting a glimpse of the museum’s exhibits. The National New York Central Railroad Museum is a museum in Elkhart, Indiana, that is dedicated to preserving, protecting, and interpreting the history of the New York Central Railroad. The town was an important railroad town with several railroad companies operating out of the town. The museum has a number of outdoor displays, including the largest surviving example of a NYC steam locomotive – New York Central 3001. There are also several other steam engines as well as diesel and electric trains. There are also a number of indoor exhibits that display artifacts from the history of the NYC railroad and other aspects of local and national railroad history and heritage. The National Railroad Museum is a railroad museum in Ashwaubenon, Wisconsin, near the city of Green Bay. The museum was founded in 1956, making it one of the oldest railroad museums in the country. 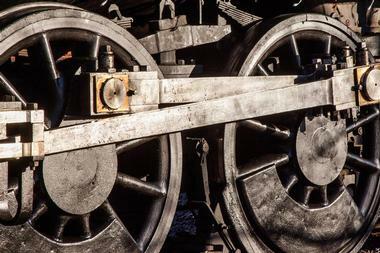 The museum has a large collection of rolling stock that represents more than a hundred years of railroad history. 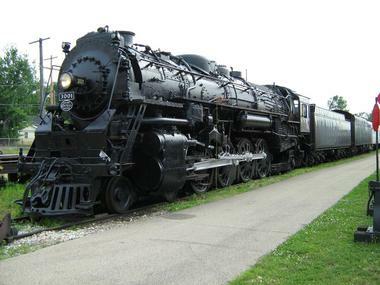 There are a number of significant historical locomotives such as the Union Pacific Big Boy No. 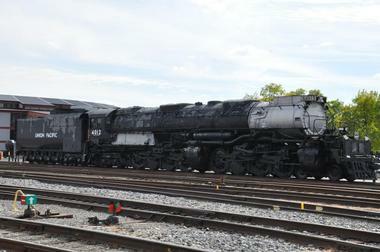 4017, which is one of the largest in the world. There is also a museum building full of indoor exhibits. Artifacts from railroad history stand alongside photographs and archives. There is also a standard gauge railroad track that runs the perimeter of the grounds. Each year the museum hosts special events for Halloween and an annual Day Out with Thomas event for kids. The Nevada County Narrow Gauge Railroad and Transportation Museum is a museum dedicated to preserving the history and heritage of the railroad industry, with a special focus on the Nevada Narrow Gauge Railroad. 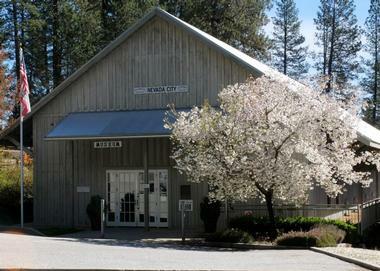 The railroad operated for nearly 70 years around the turn of the century in Nevada and Placer Counties in California. The museum has a nice collection of artifacts from the railroad, including documents and historical photographs. There are a number of pieces of rolling stock on display as well as Engine 5, which has been used in many films. Visitors to the museum can take part in short rides on several different pieces of railroad equipment. In addition to the exhibits related to the railroad, the museum also holds the first steam automobile in the county in addition to some exhibits related to local aviation history. 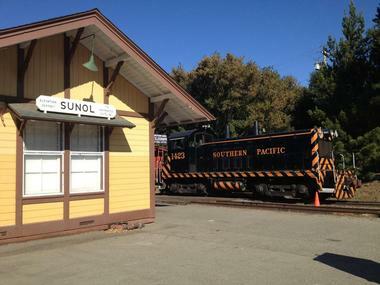 The Niles Canyon Railway is a historical heritage railway that operates between Sunol and the Niles district of Fremont near the San Francisco Bay Area. The railroad traverses the beautiful Niles Canyon. 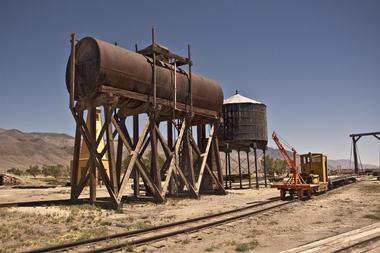 The railroad that it operates on was once a part of the First Transcontinental Railroad, which was built in the 1860s. This particular stretch that passes through Niles Canyon was one of the first stretches of rail line to be constructed in the state and was the first rail link between the San Francisco Bay and the rest of the United States. The railroad runs regular passenger excursions, which alternate between diesel and steam locomotives and open and enclosed cars. 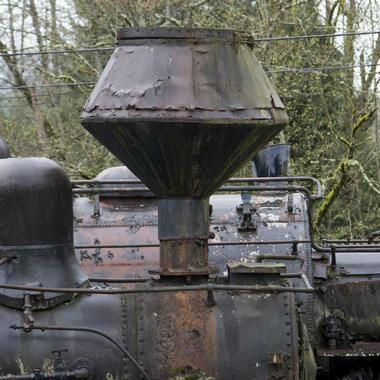 The Northwest Railway Museum is situated in King County, Washington. The museum consists of the 1890s Snoqualmie Depot as well as several miles of track from the former Northern Pacific Railway. The railway was founded in the 1950s and aims to educate the public about the role of railroads in the growth of the region as well as the lifestyle and excitement surrounding railroad work. The museum holds a number of interesting rail cars and locomotives dating from the 1880s to the middle of the 20th century. They also operate a 5-mile heritage railroad, where visitors can ride along on a train excursion during the summer. The Orange Empire Railway Museum has been operating at the Pinacate Station in Perris, California, since 1956. The museum’s collection focuses mainly on the history of the railroad in Southern California and contains the world’s largest collection of Pacific Electric Railway equipment in the world. The exhibits include railroad equipment, locomotives, documents, and tools that were used on the railroad. Tours of the grounds can be self-guided or can be led by a guide. In addition to the museum exhibits, there is also a picnic area and interactive railroad garden near the entrance. 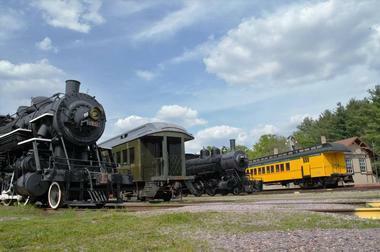 The museum operates a heritage railroad on the grounds of the museum. 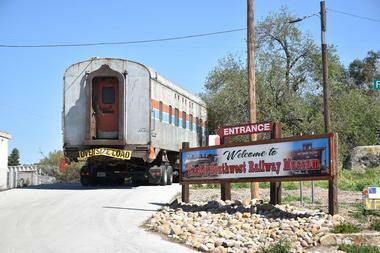 The Pacific Southwest Railway Museum is a railroad museum in Campo, California, operated by the Pacific Southwest Railway Museum. The museum is best known for their train excursions, which have been run by volunteers since 1986. 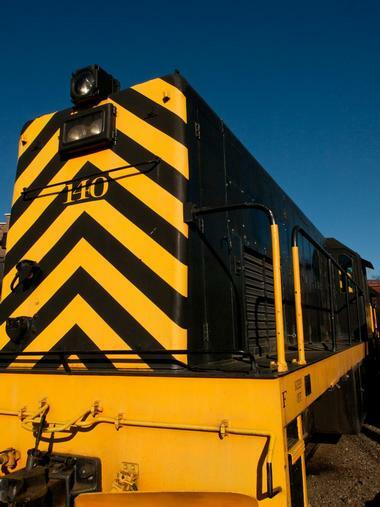 The trains are pulled by historical diesel and electric locomotives. There are a large number of locomotives and rail cars that are on display in a building in Campo. Visitors can stroll through the building and get up close and personal with the equipment. The museum also manages the La Mesa depot, which is the oldest building in the town. 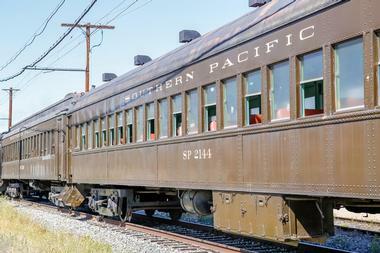 Adjacent to the depot is a display train with several historical components. 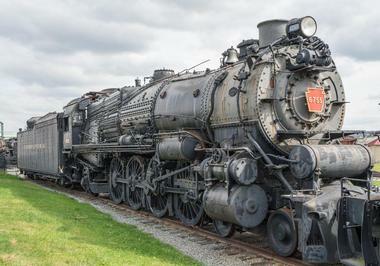 The Railroad Museum of Pennsylvania is a railroad museum located in Strasburg, Pennsylvania. 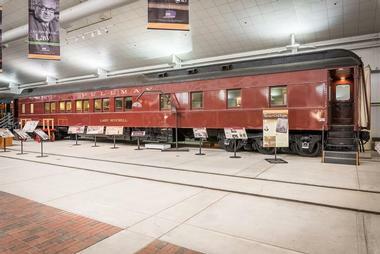 The museum’s holdings include more than 100 pieces of rolling stock and historic locomotives that tell the story of the history of the railroad in the United States. The museum features several interactive exhibits, including one that allows visitors to simulate driving a real freight locomotive. You can also go inside a real caboose, look at the underside of a locomotive, and watch live restoration activities. The museum also has an observation deck that allows visitors to see the trains in the outdoor yard from above. There is a gift shop for those who wish to take home a souvenir or gift from their visit. The Shore Line Trolley Museum is the country’s longest-operating trolley museum. 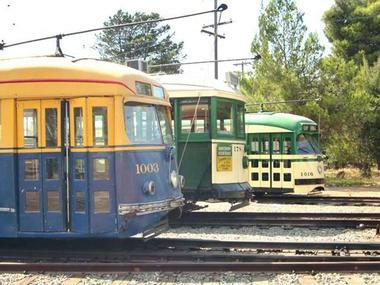 The museum preserves and protects the history of the trolley car and includes a number of informative and interactive exhibits related to the history of trolley cars. Also located on the museum grounds is a short, 1.5-mile trolley track, where visitors can climb aboard a restored historical trolley and take a ride. 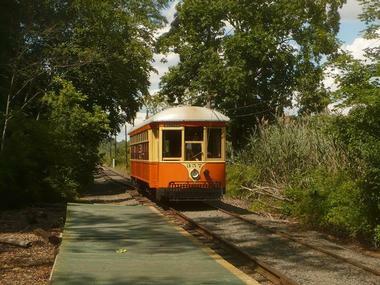 During the trolley ride, you will travel the Branford Electric Railway, which passes by beautiful scenery and may even offer the chance to see interesting wildlife. The trolley rides are family-friendly and totally appropriate for children. Steamtown National Historic Site is a railroad museum and heritage railroad in Scranton, Pennsylvania. The museum occupies the space of the former Scranton yards, which were used by the Delaware, Lackawanna, and Western Railroads. The centerpiece of the museum is a working roundhouse and turntable, which are modeled after the originals and in some instances were built using materials from the original buildings. A large number of locomotives, freight cars, and passenger cars are on display. Visitors can climb inside and explore several of the pieces of equipment. In addition to the working rail yards, the historic site has a visitors center with a theater and museum exhibits. The Tennessee Valley Railroad Museum is a railroad museum in Chattanooga that was created in order to preserve and protect historical steam locomotives and equipment from the railway. 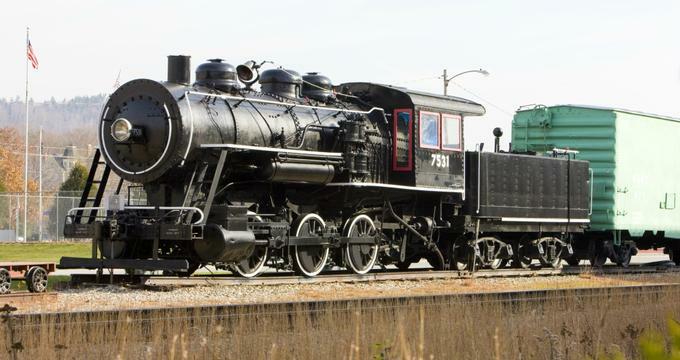 The museum operates a heritage railway that allows visitors to experience the history of the railroad by participating in a 6-mile round-trip train ride pulled by steam locomotive. These train rides are the only of their kind in the state of Tennessee. 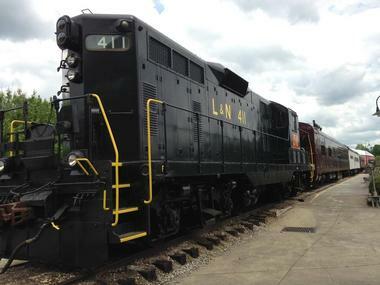 A number of notable locomotives and other pieces of rolling stock can be seen at the museum, as can exhibits related to the development and history of the railroad, specifically in the Tennessee Valley region. The Train Mountain Railroad is a miniature model railroad located in Chiloquin in central Oregon. The railroad is the largest miniature railroad in the world, traveling through more than 2,200 acres of forested land and including more than 36 miles of 7.5 gauge track. 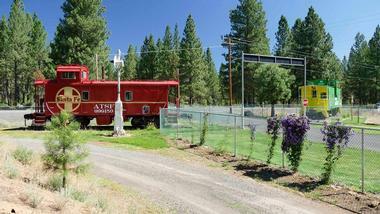 There are train rides available to the public through the Klamath and Western Railroads. The Train Mountain Railroad Museum is also present at the site and has several pieces of historical, full-sized equipment and railroad artifacts. One of the most significant pieces is a 100-short-ton historical steam-powered snow plow. The Western Railway Museum is located in Solano County, California, along what used to be the main line of the Sacramento Northern Railway. The museum’s collection is dedicated primarily to preserving the history of interurban transit equipment with a special focus on trolleys. The museum operates a heritage railroad along a former line of the Sacramento Northern and has the world’s largest collection of equipment from the former railroad. Visitors can take a 1.5-mile street card ride, or a longer 10-mile ride. There are shaded picnic areas, a bookstore, a cafe, a library, and several small exhibits in the visitors center.